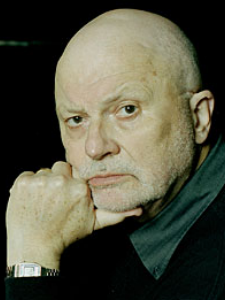 GEOFFREY HILL was born in 1932, in Bromsgrove, Worcestershire. A graduate of Keble College, Oxford, he taught for many years at the University of Leeds and then lectured at Cambridge as a fellow of Emmanuel College. He is the author of 9 books of poetry (including Counterpoint’s Speech! Speech! (2000) and The Orchards of Syon (2002)) and New & Collected Poems, 1952-1992. Since 1988 he has taught at Boston University, where he is currently Professor of Literature & Religion and co-director of the Editorial Institute.